All of my grips are custom built, by hand, one at a time, using state of the art, old fashion hand built jigs, elbow grease, and sweat. No CNC equipment here. They are not perfect, but are all unique. These grips are intended for the Dan Wesson Lover. 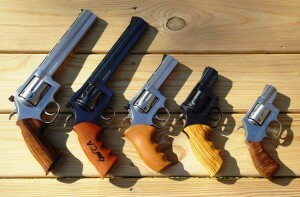 I am NOT in business to sell grips to turn profit however I do love my Dan Wesson’s and love making things. 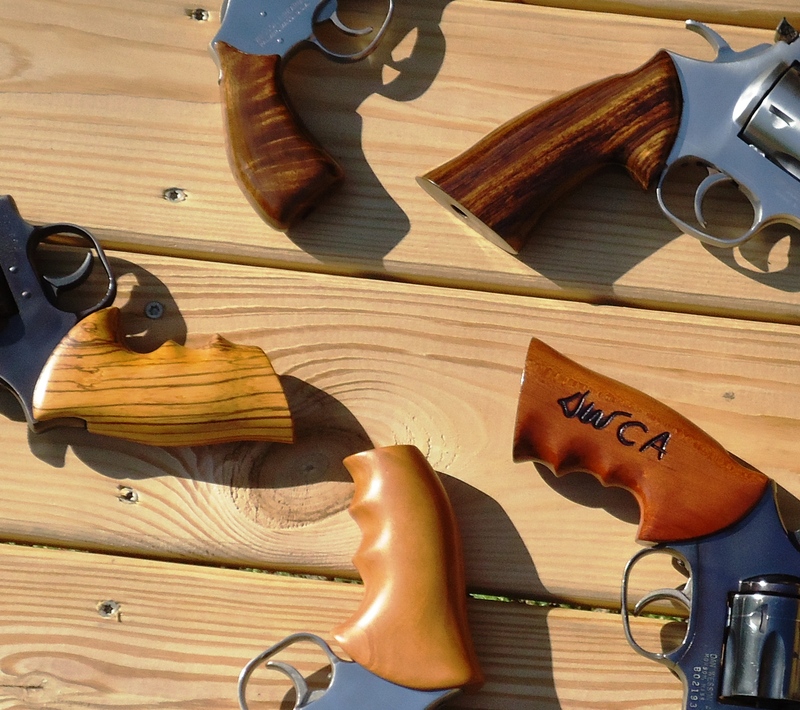 I would prefer to just give the grips away but let’s be real; I can’t do that forever, so to help recoup some of the cost of this labor of love I am offering these grips for sale to my fellow Dan Wesson lovers. Prices are negotiable if you feel my suggested price is out of line, as I said I am not in a production business and cannot compete with someone like Hogue. After building several grips I decided Hogue’s prices are quite reasonable. Hogue builds a nice grip by the way. I mostly do a one piece grip, where Hogue grips are a two piece grip. I strive to offer something to the DW community and in such as that my focus is on custom grips built to the specifications of the customer and not just another cookie cutter grip. Send me your desires and even a tracing of your hand and I will do my best to build a grip just for you. The typical turnaround time is about 4 weeks depending on material acquisition and backlog. For more information please contact LB Custom Grips by completing the contact form.